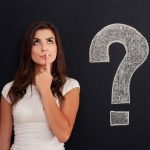 Nonprofit Marketing vs Development: What’s the Difference? 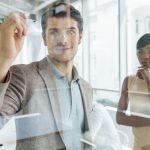 Development and marketing, these two words, oft-used inter-changeably, reflect distinct concepts and overlapping functions, both are needed to draw new revenue and resources to your nonprofit. Listen to discover why marketing and development need different budget lines and how to measure the results of each. How Can You Grow Your Nonprofit’s Sponsorship Dollars? You can find new sponsors, create more value, do less work and raise more dollars. 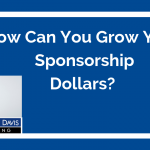 Listen to this video to discover how to grow your sponsorship dollars. Last week, my friend John Collins, Executive Director of the St. Petersburg Arts Alliance, used a phrase that stuck with me. Our discussion addressed the abundance of growth opportunities that exist. People often share them, thinking that we should undertake them. He said that he’s been asking idea-bringers: “Does it come with a check?” Ever since his question stuck in my head. Are you curious about what a culture of philanthropy is? 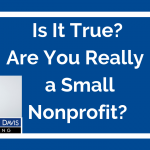 This quick video explores the critical components of the philanthropic culture and explains how you can create one at your nonprofit. Here’s a way to give back and meet active community members. Plus I give a tip to help you engage with your visitor’s experiences.